The Medieval Knight deluxe adult costume is perfect Renaissance fairs, medieval themed weddings, theatrical productions including "Robin Hood" and "Monty Pythons' Spamalot," movies and television, or any other use where quality is important. 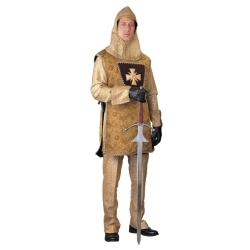 The Medieval Knight costume is available in gold or silver. Costume includes metallic mesh hood, under-tunic and leggings, brocade over-tunic with crest, and gloves with matching gauntlets. The Medieval Knight costume is available in men's size small, medium, large or extra large. 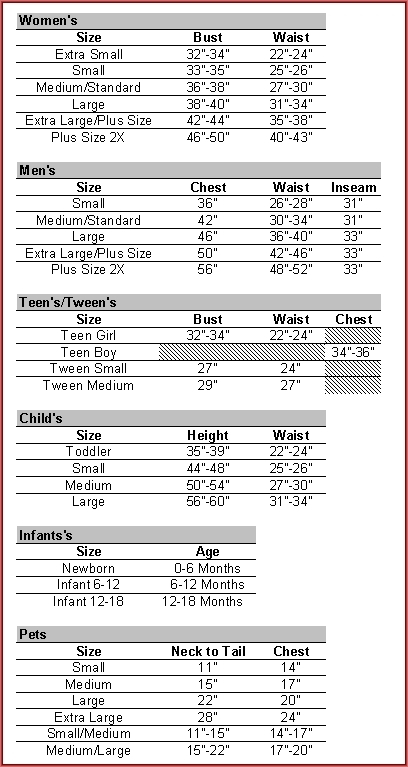 Use the drop-down box below to select a color and size. Costumes from the Deluxe Costume Collection are comparable in quality to the costumes that we rent and are designed with theatre in mind. Please note that these are special order costumes and generally take two to three weeks for delivery. Please call for availability or if you need rush delivery.